In the past 40 years, Real Madrid has become world renowned in developing some of the best soccer players of all time. This soccer program is conveniently located for young boys and girls from the Round Rock area who are looking to improve their s skills. It promotes a healthy and fit environment for kids, who want to step their game up. They’ll learn about game vision, teamwork, and effort. Experienced UEFA pro coaches will improve your abilities while enjoying a dynamic, diverse, and professional summer soccer camp in Texas. Improve your soccer skills this summer and feel like a champion at the official Real Madrid Soccer Camp in Austin. The best-proven way to get better at soccer is hard work, teamwork and technical drills. 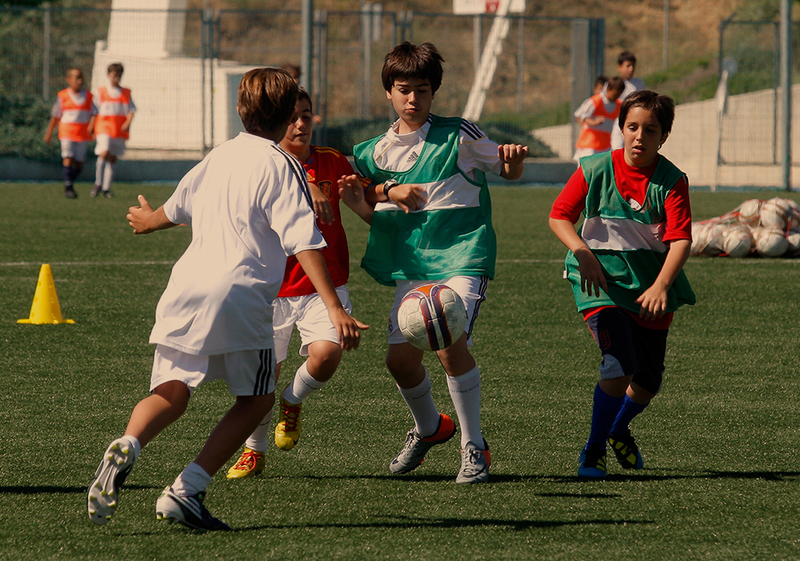 The soccer training program delivered at the official Real Madrid Soccer Camps aims to let all participants express their full technical, tactical and physical potential no matter their skill level. Day by day they will learn to enhace their strengths and will be stimulated to understand their own weaknesses and how to work to overcome them.